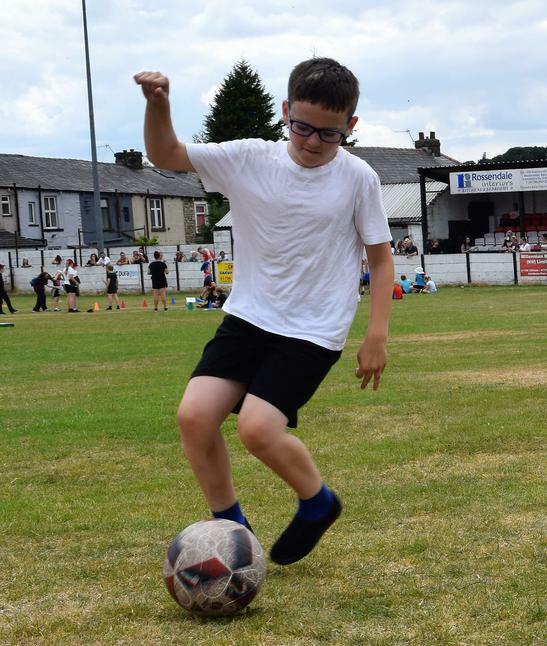 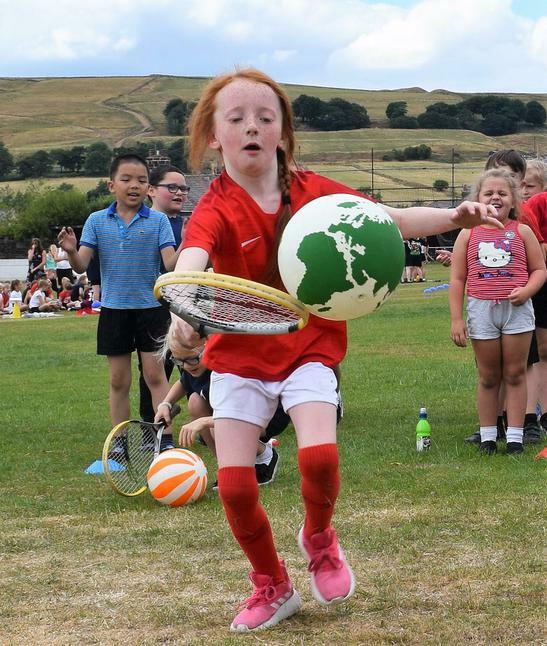 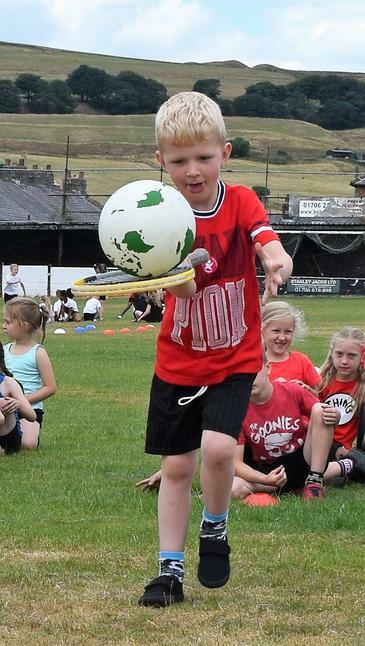 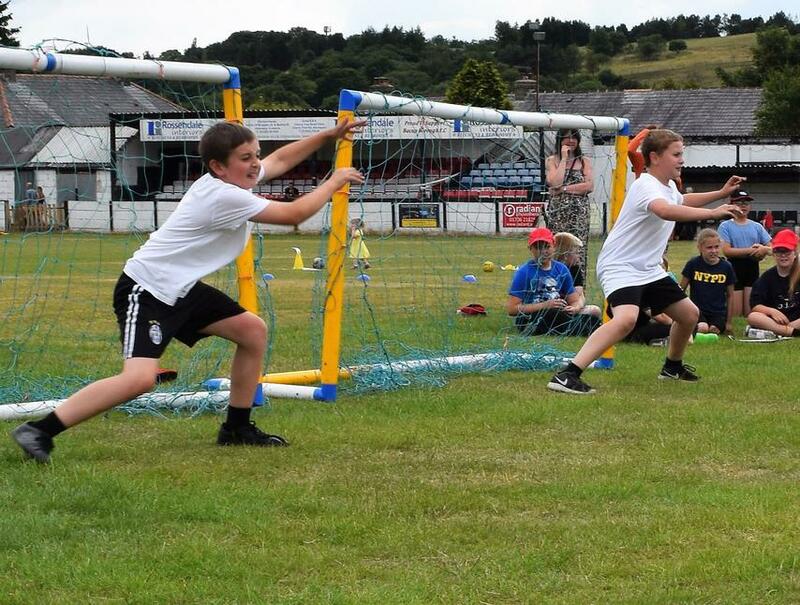 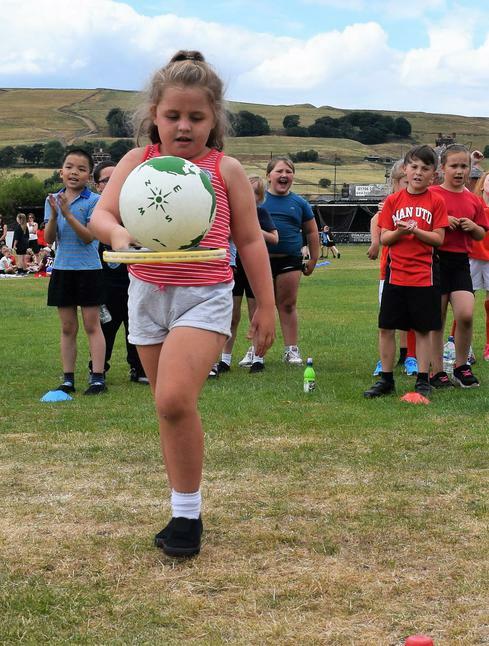 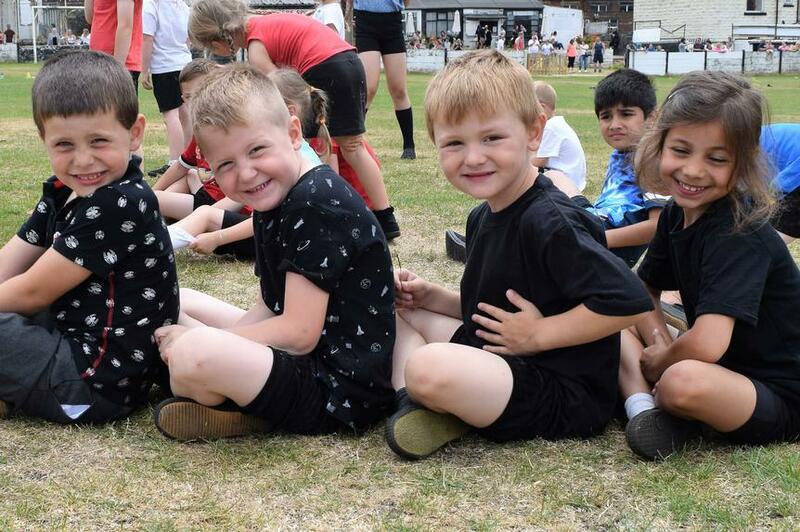 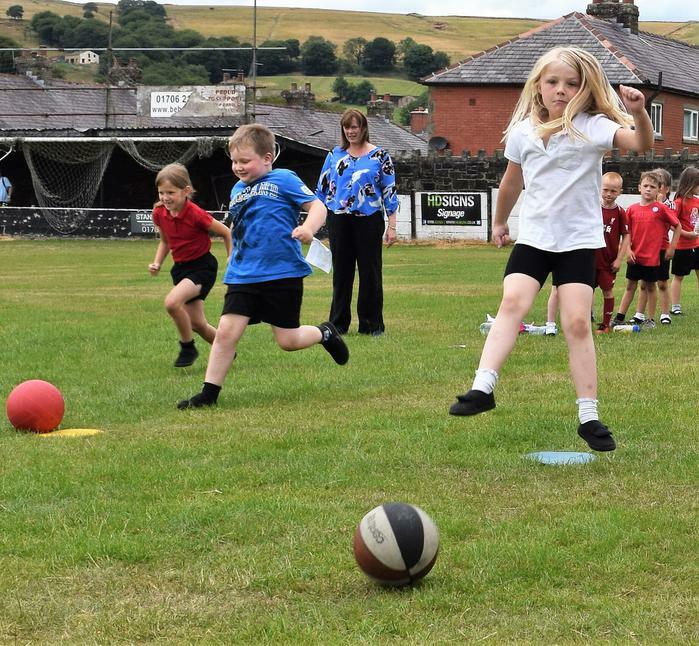 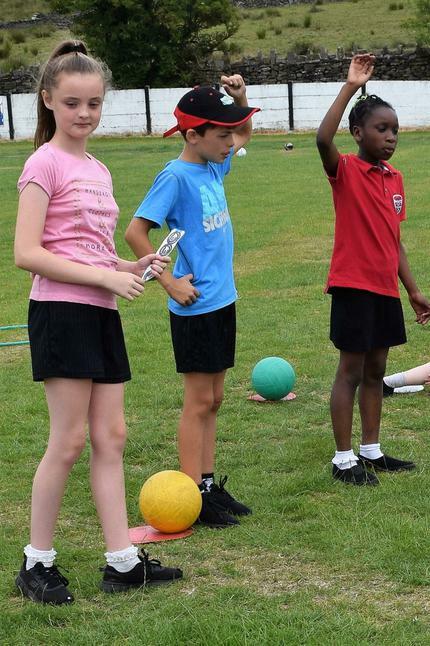 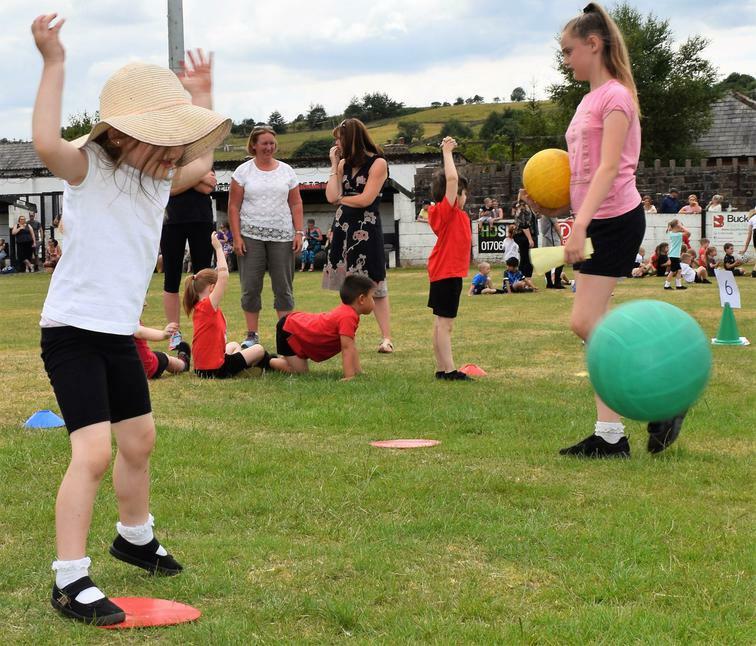 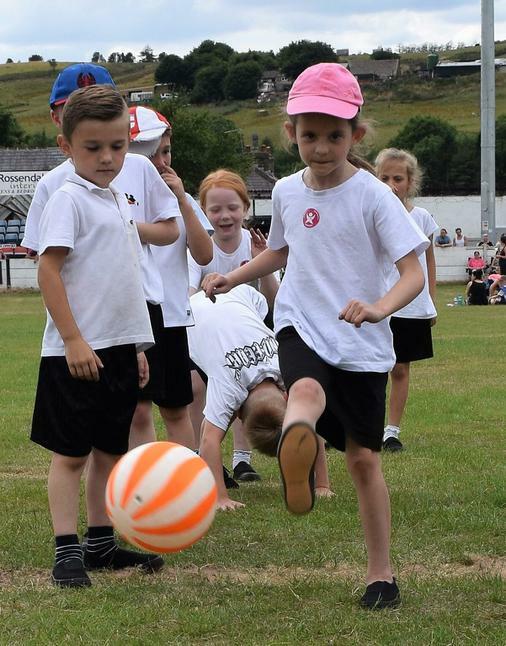 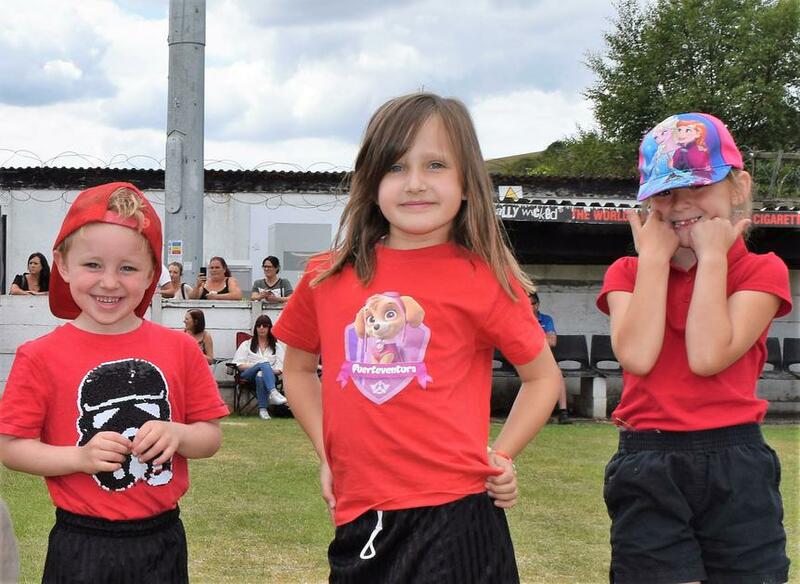 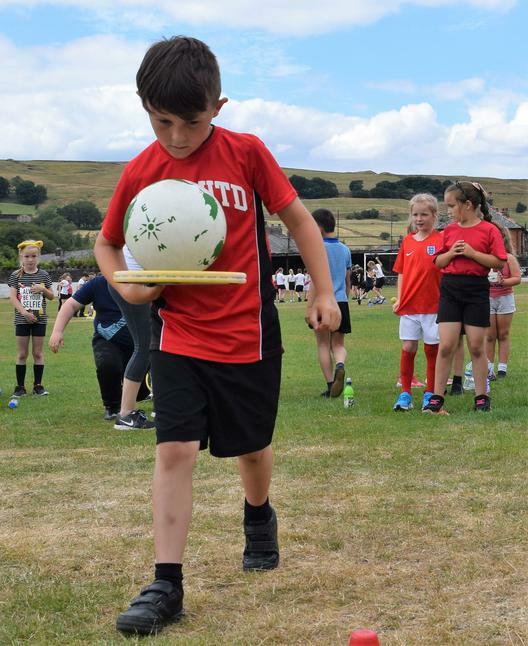 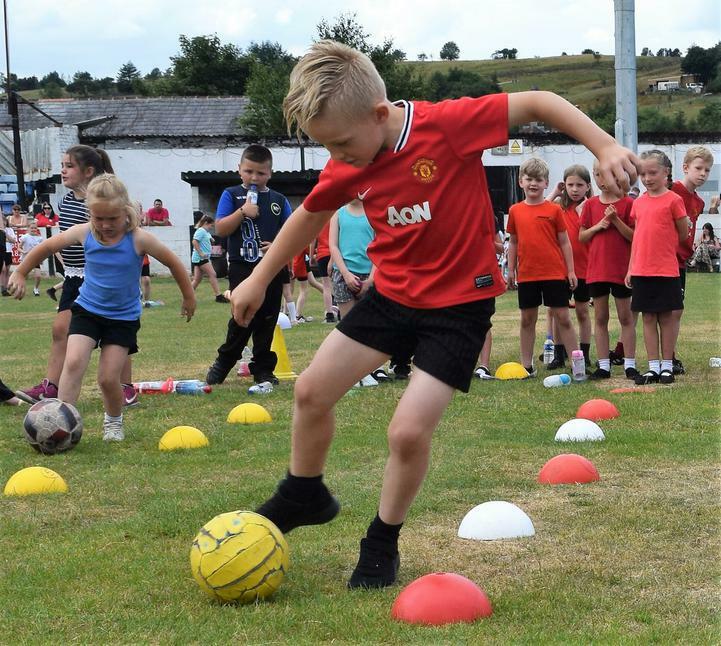 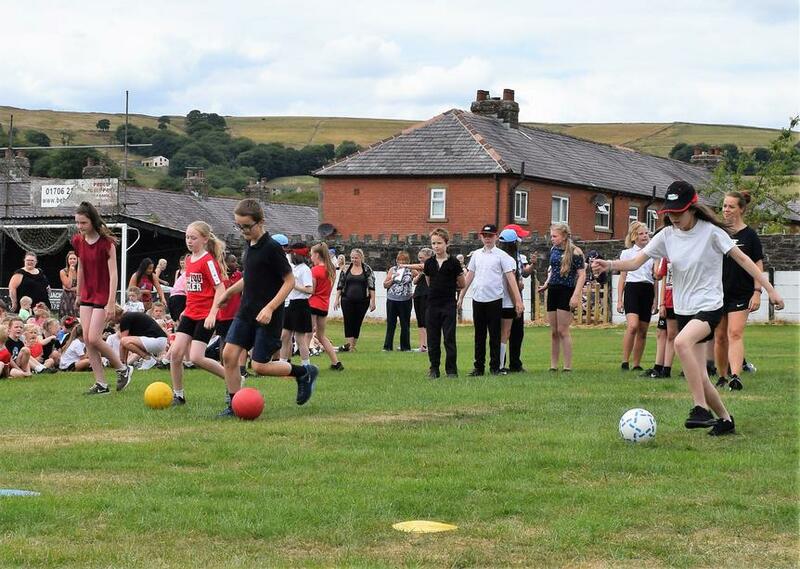 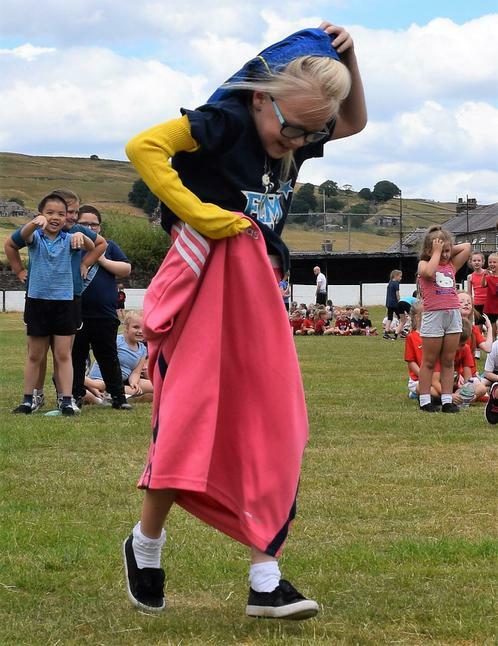 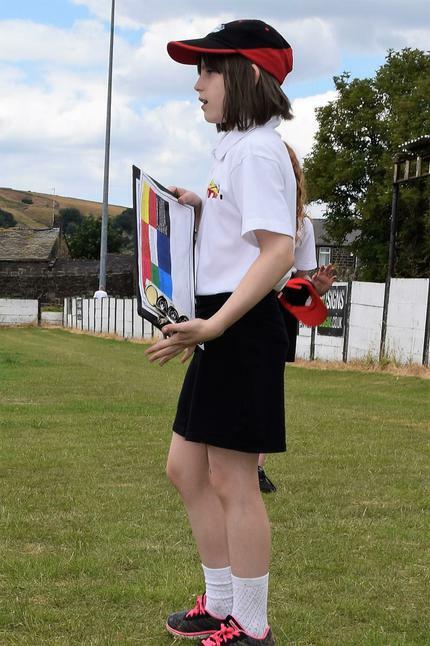 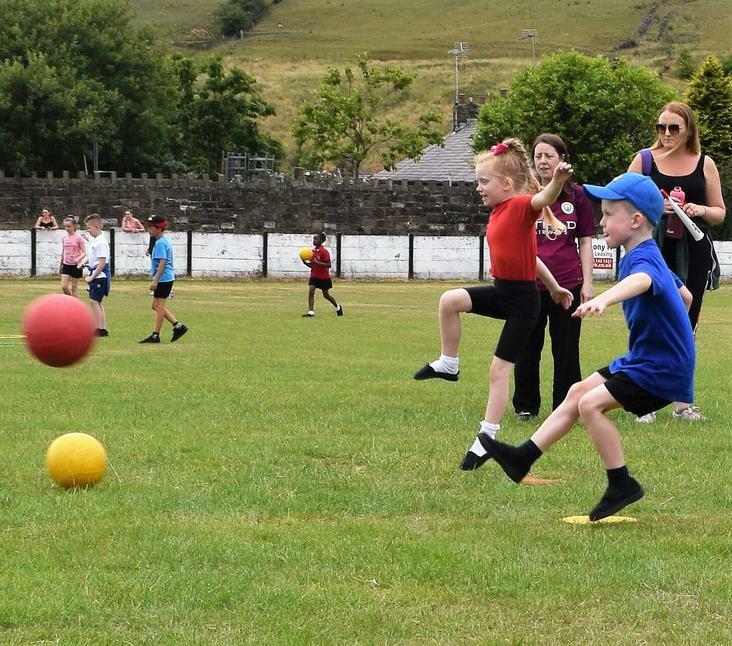 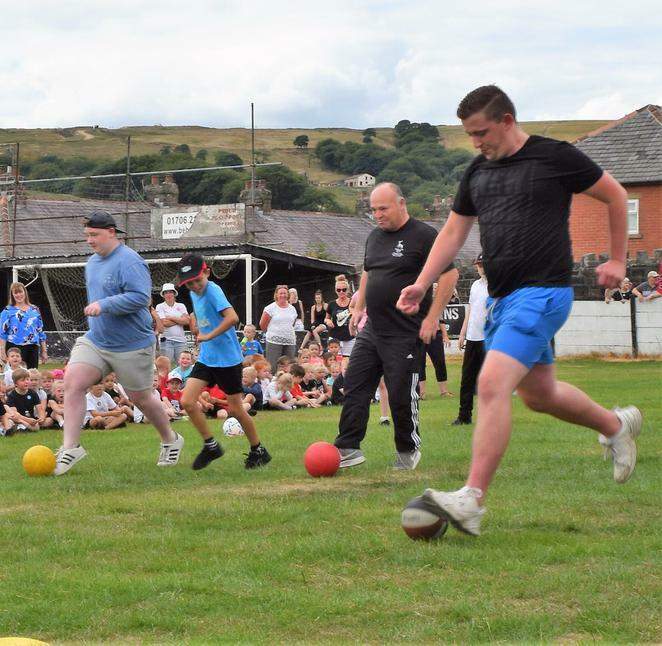 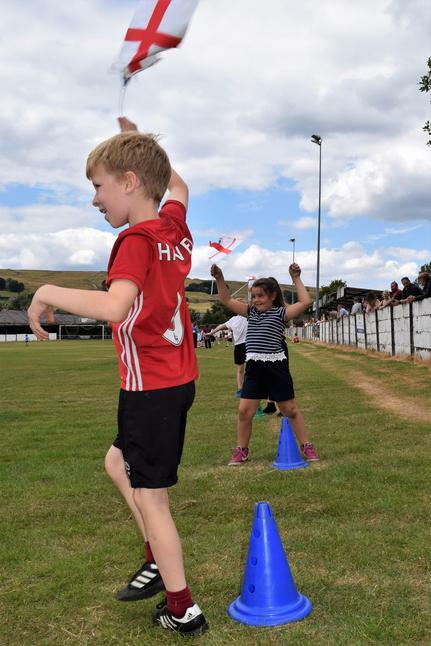 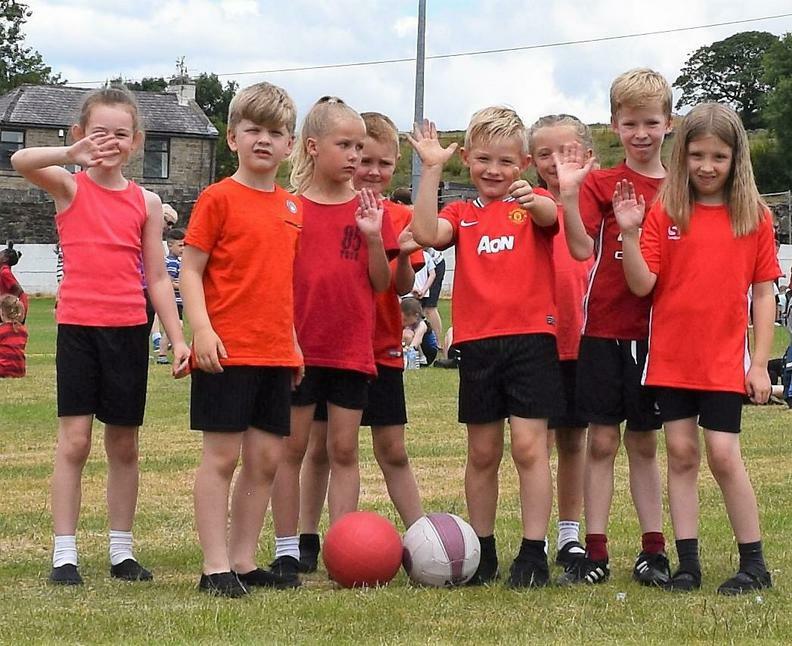 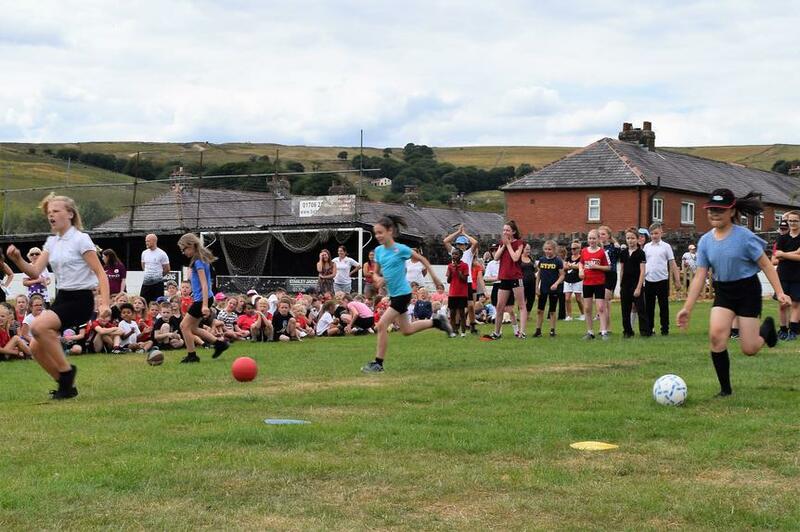 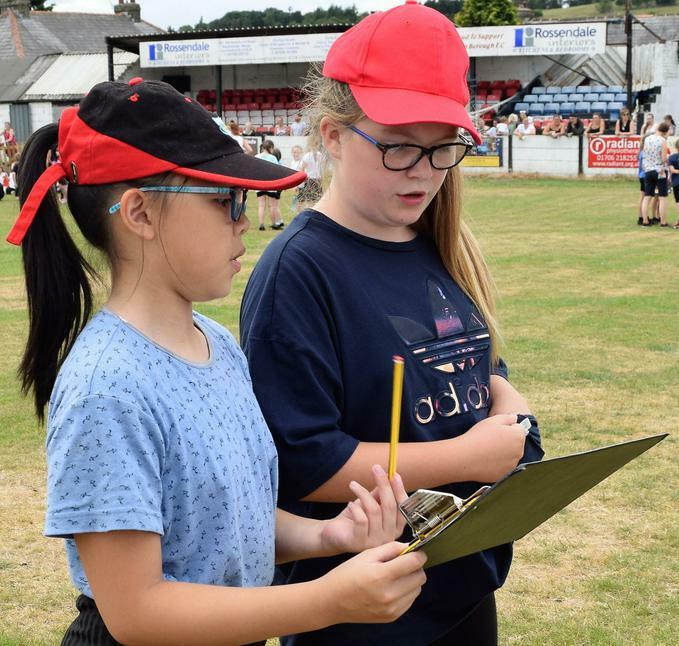 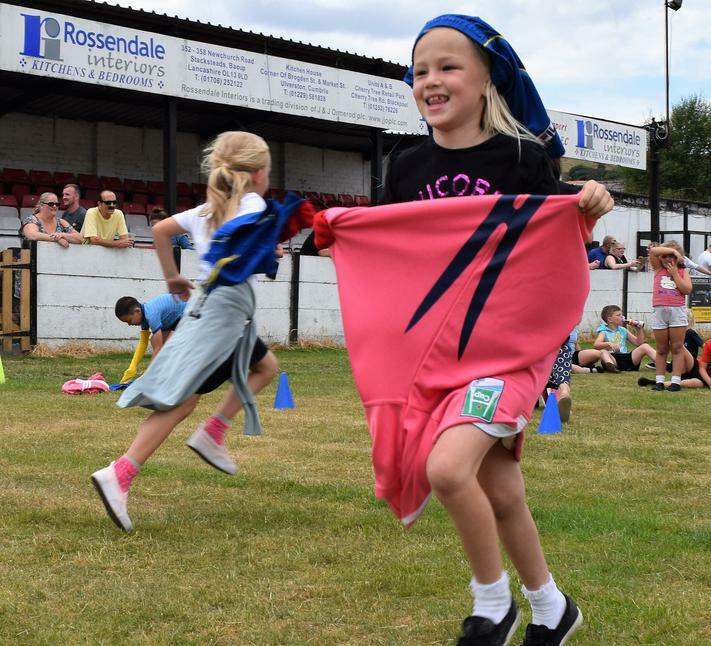 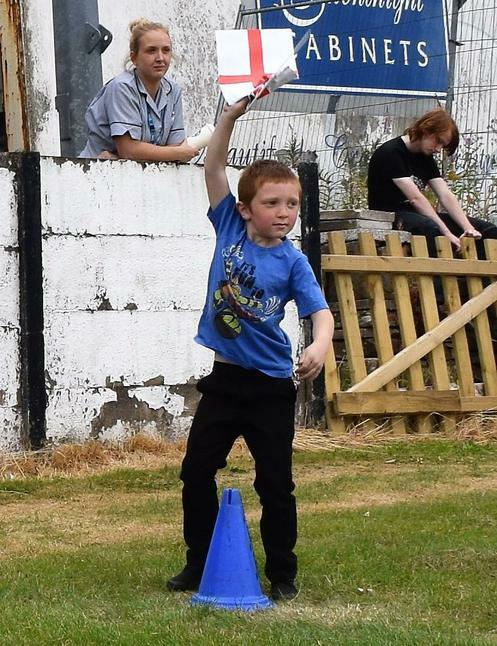 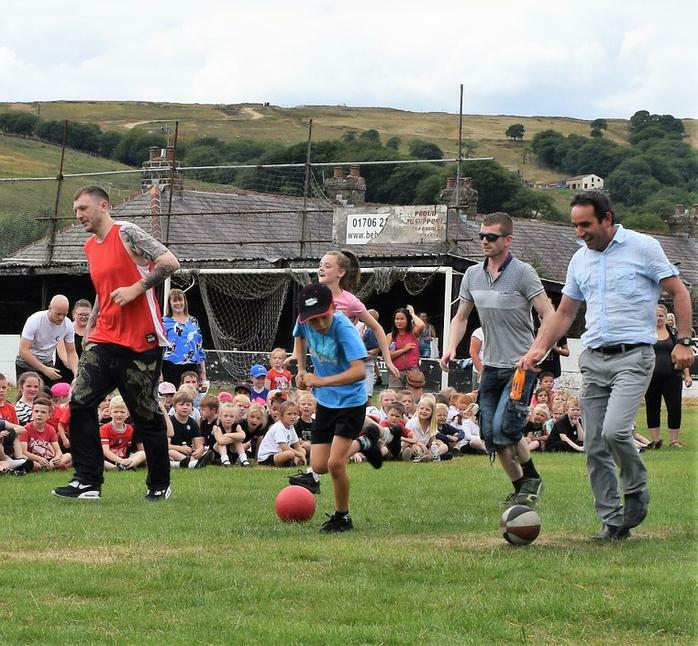 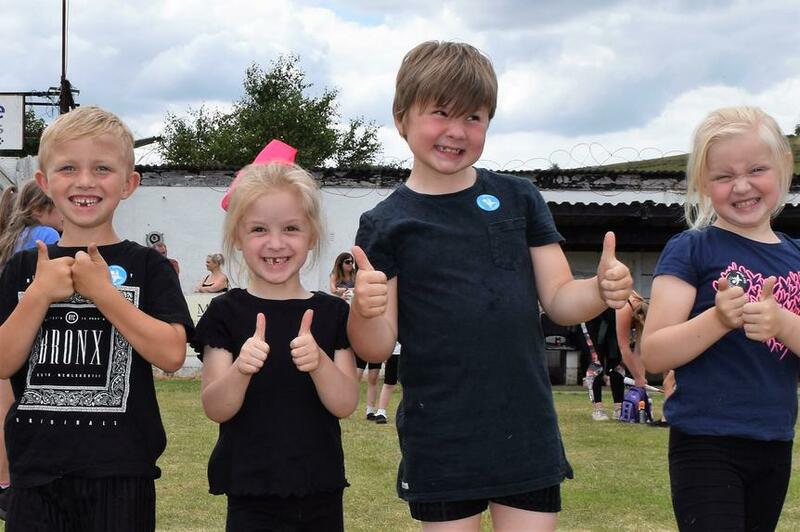 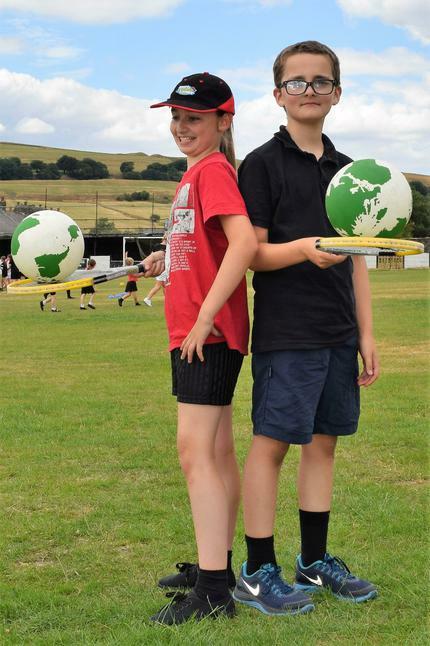 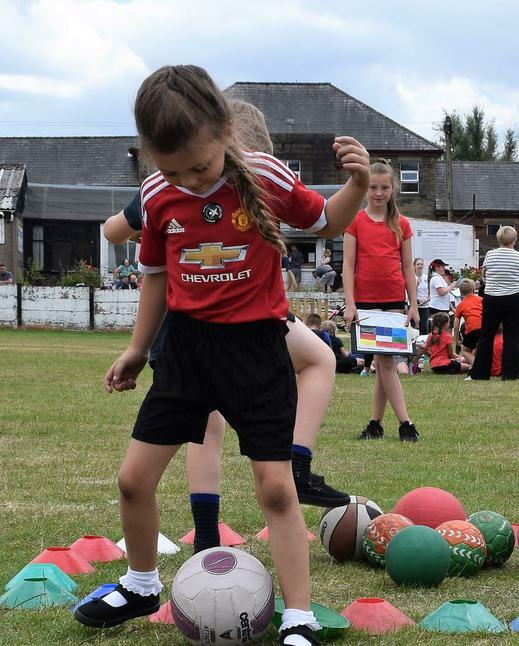 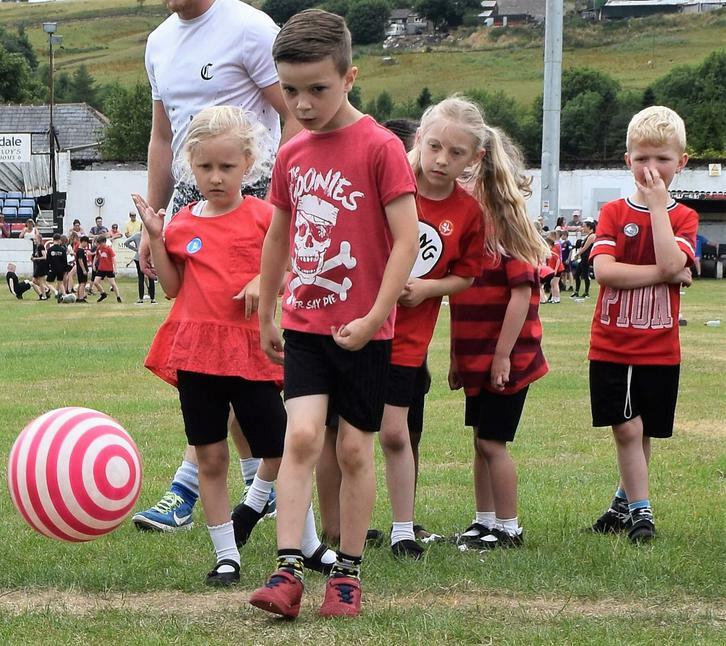 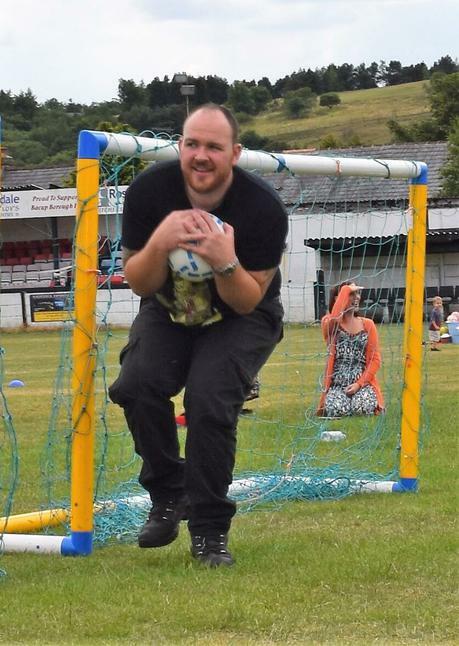 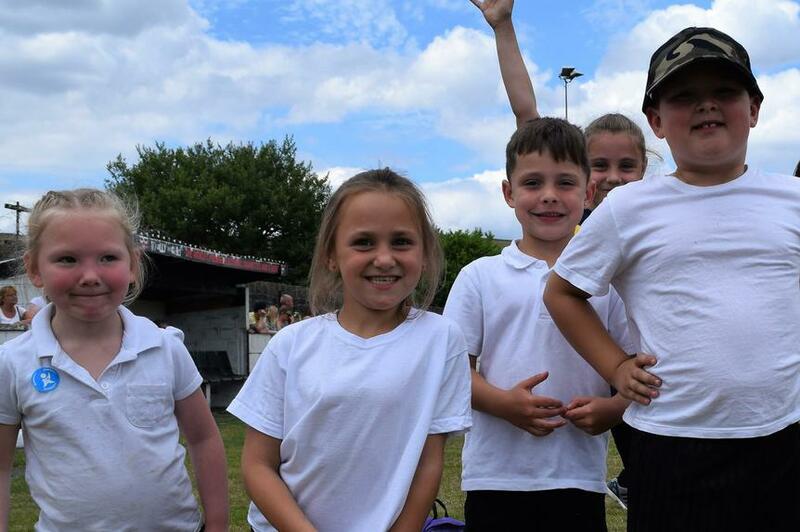 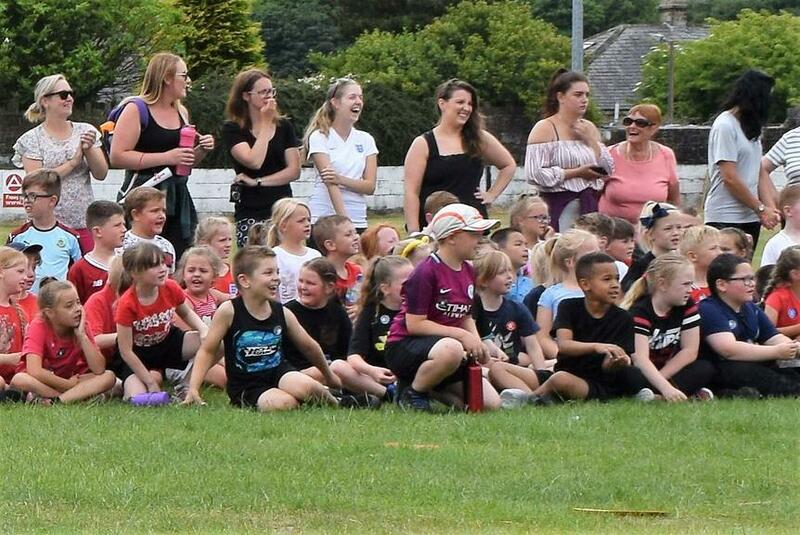 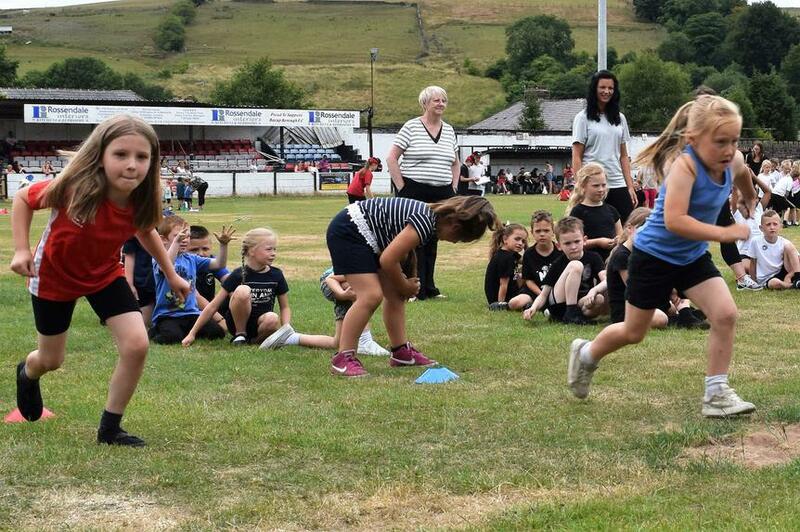 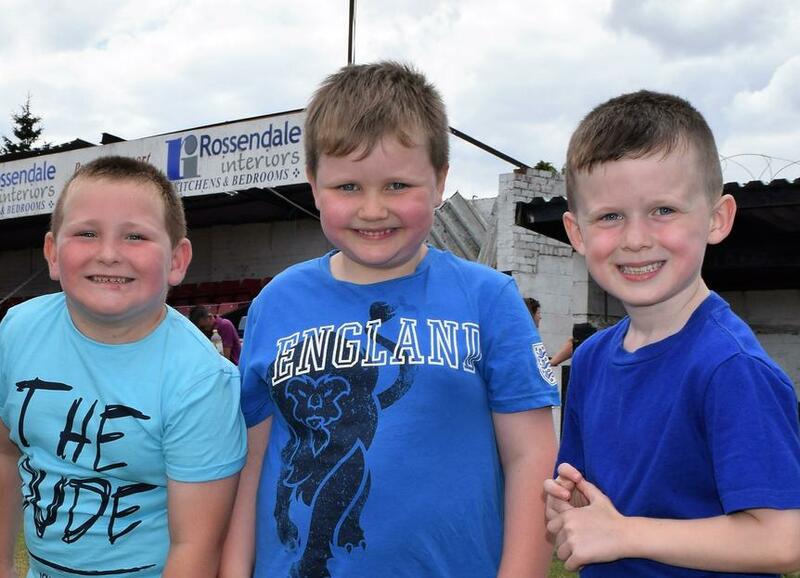 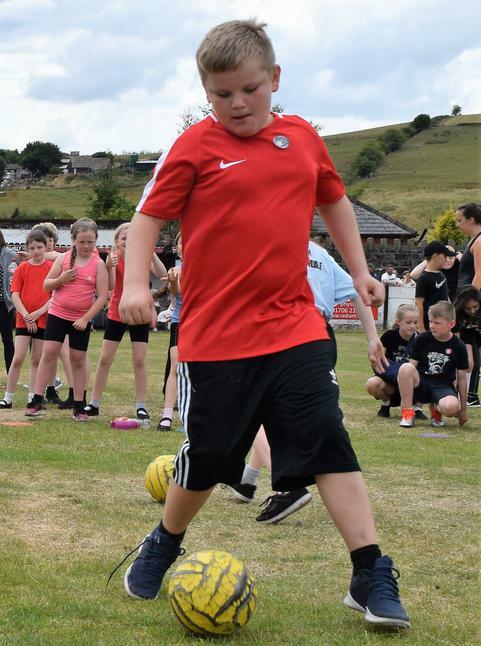 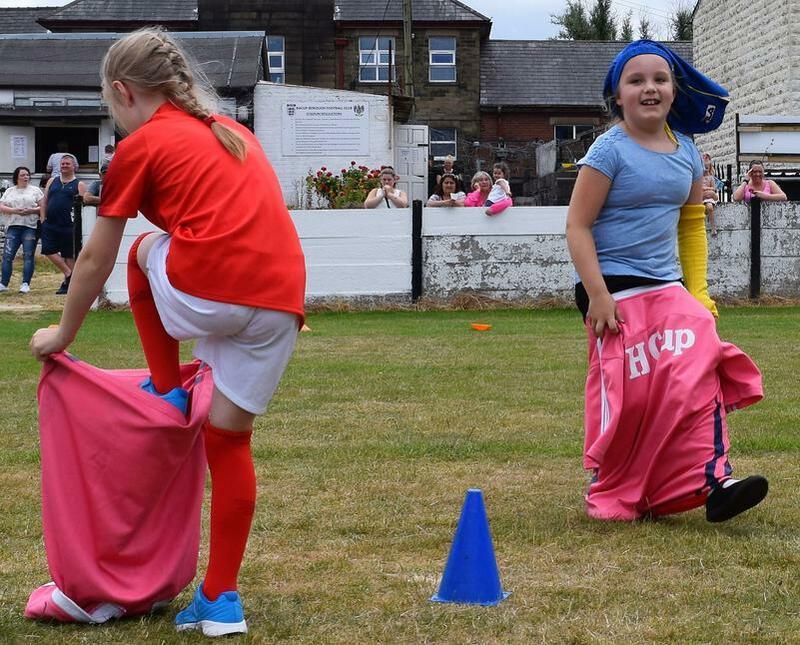 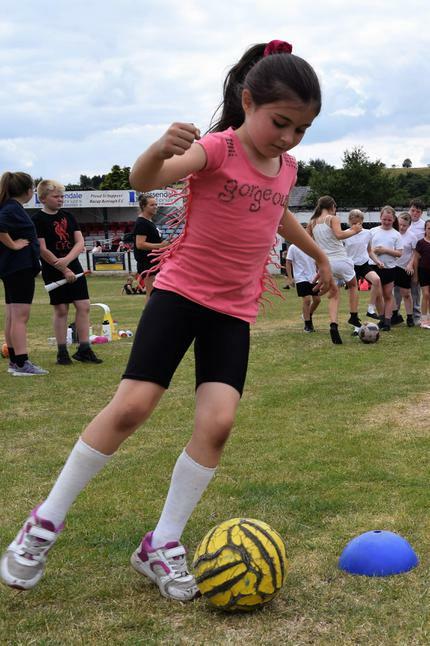 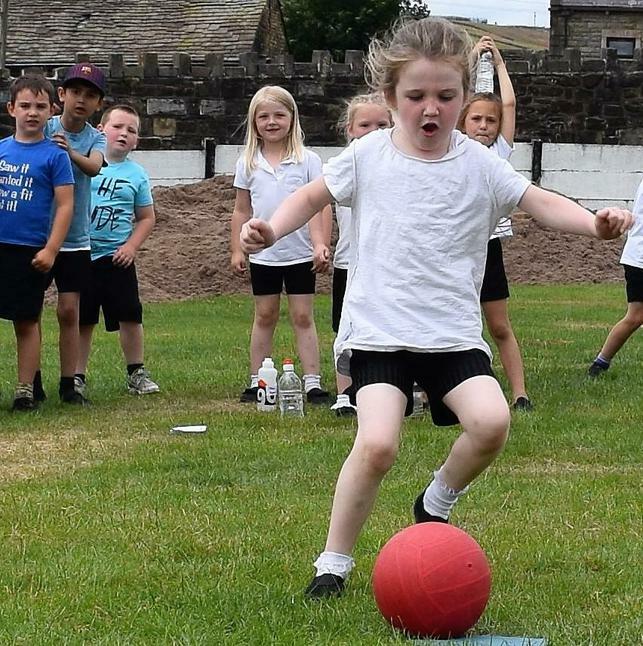 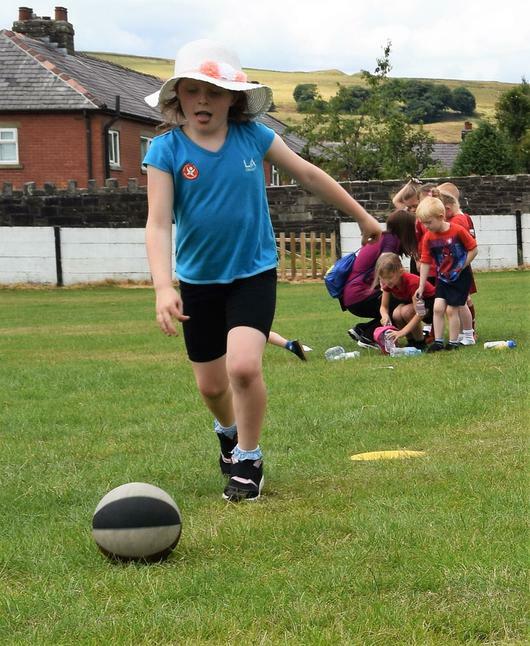 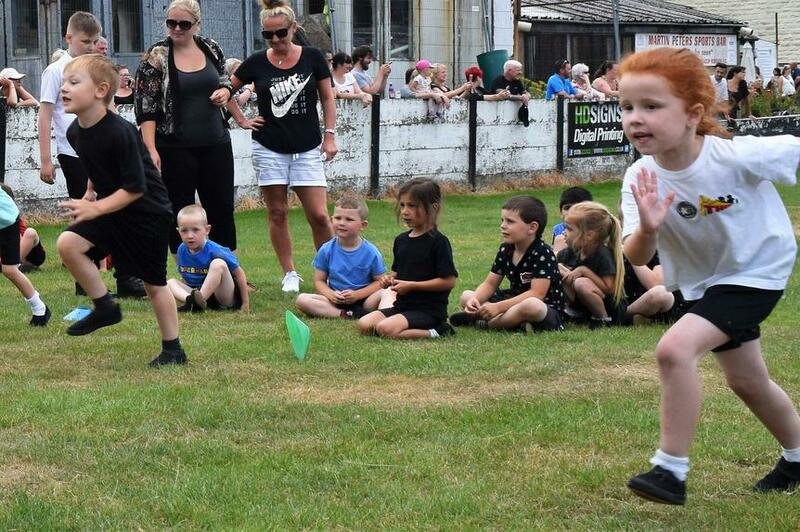 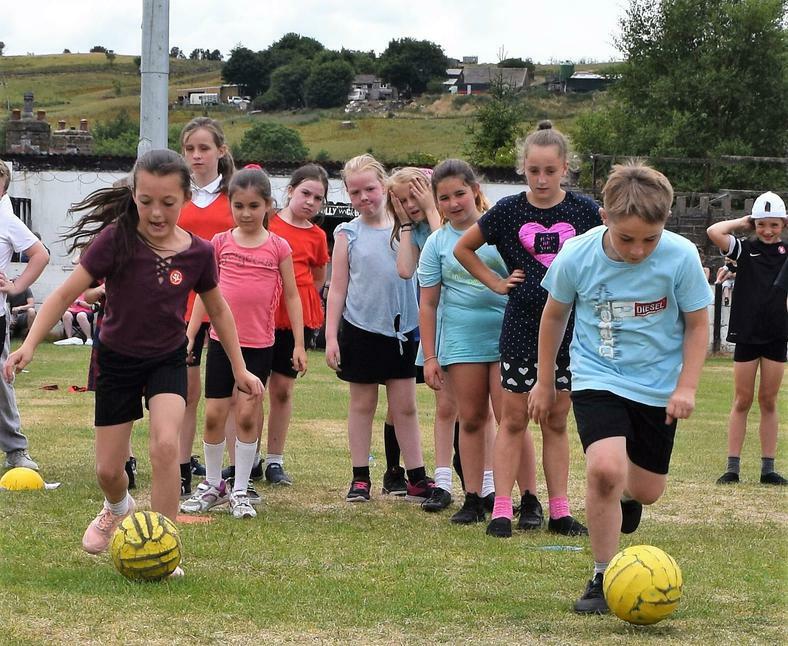 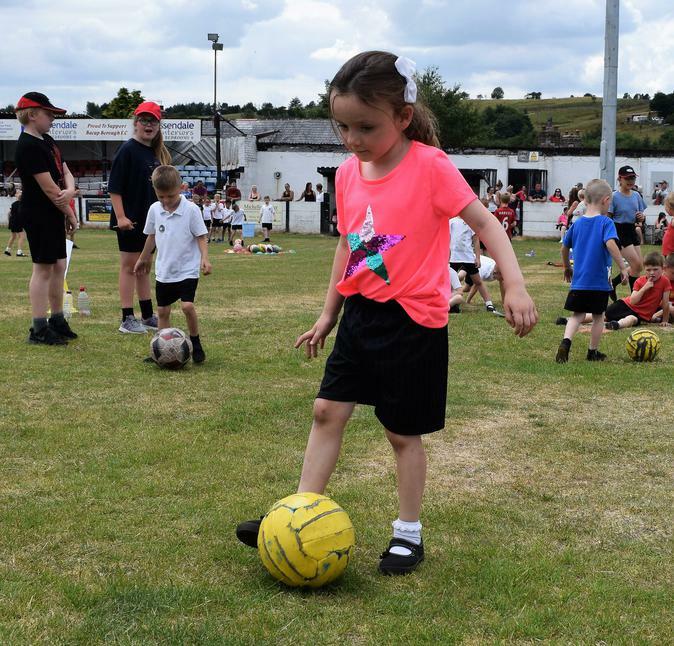 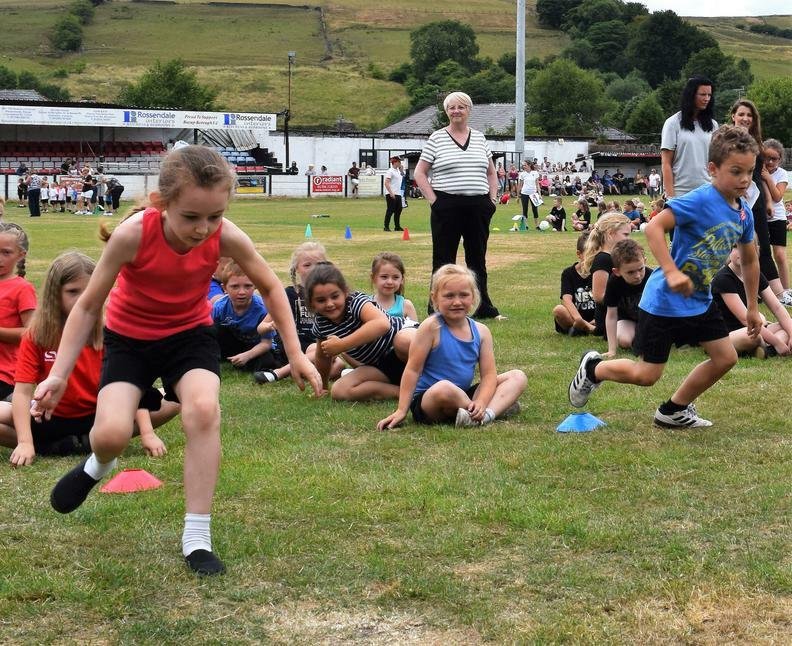 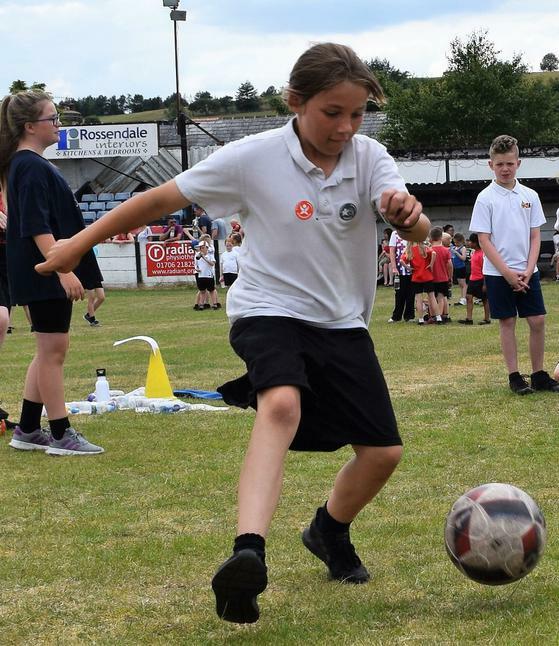 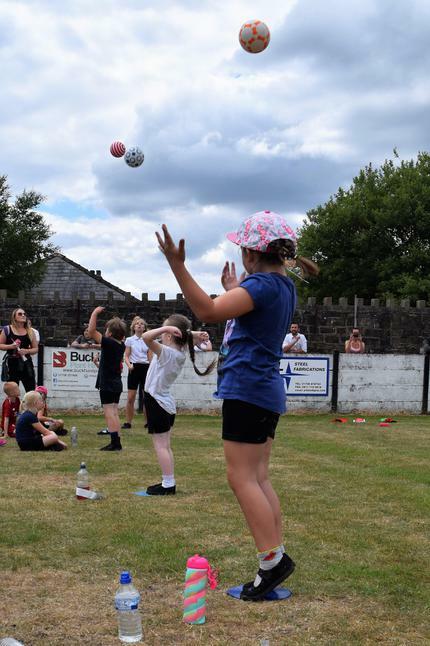 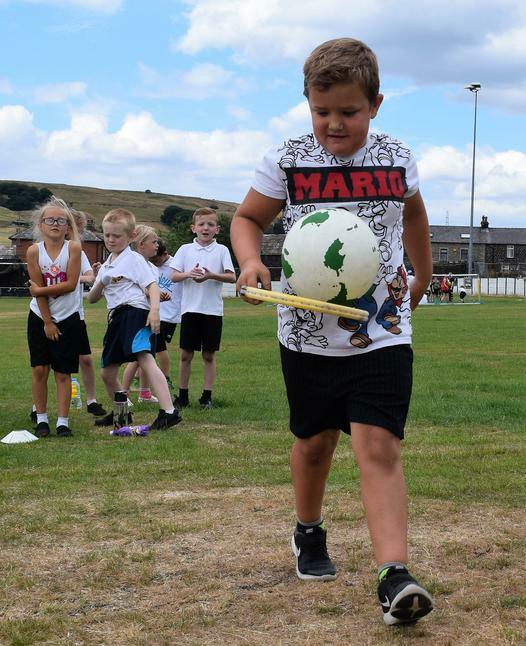 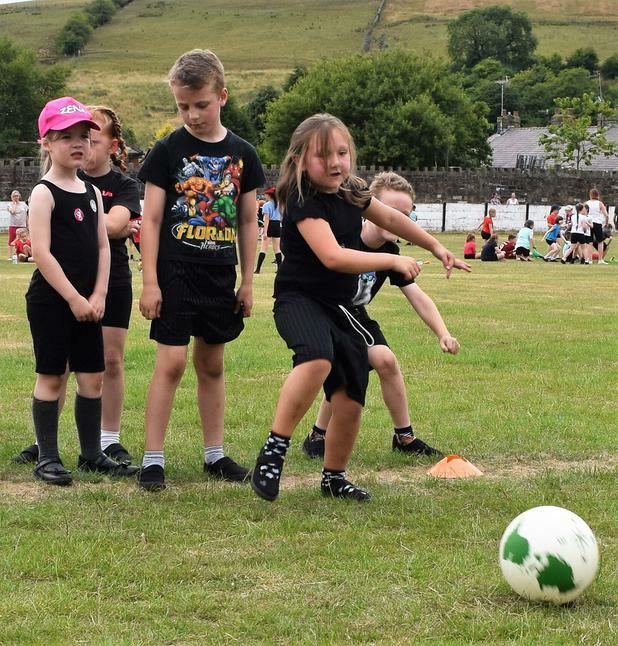 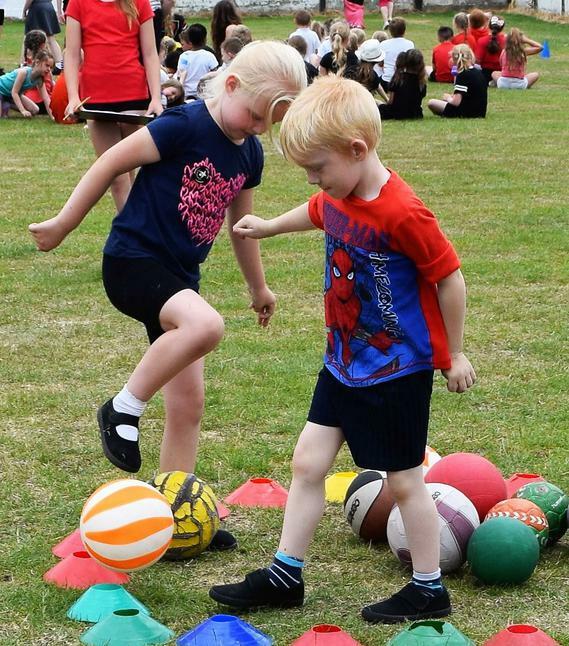 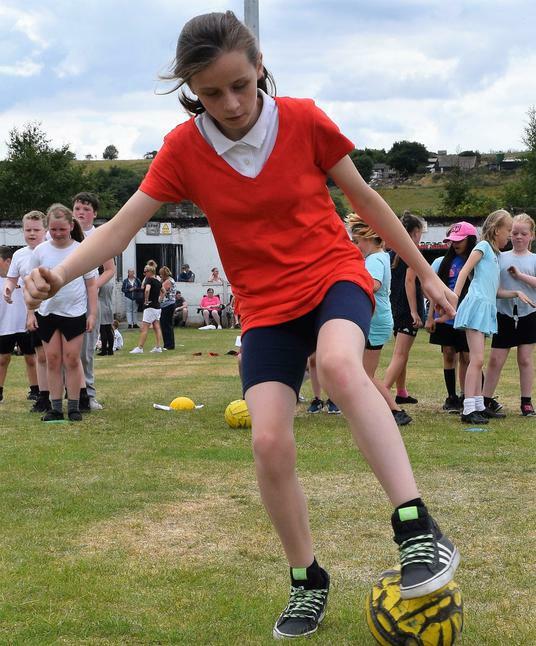 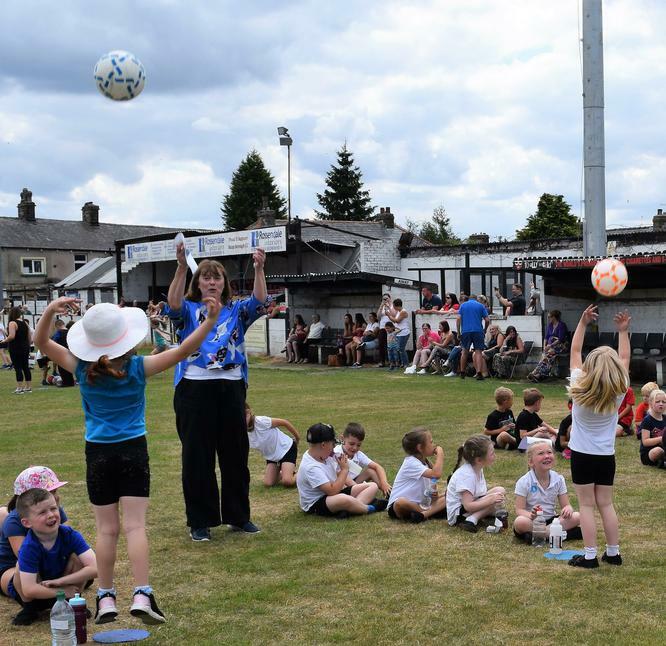 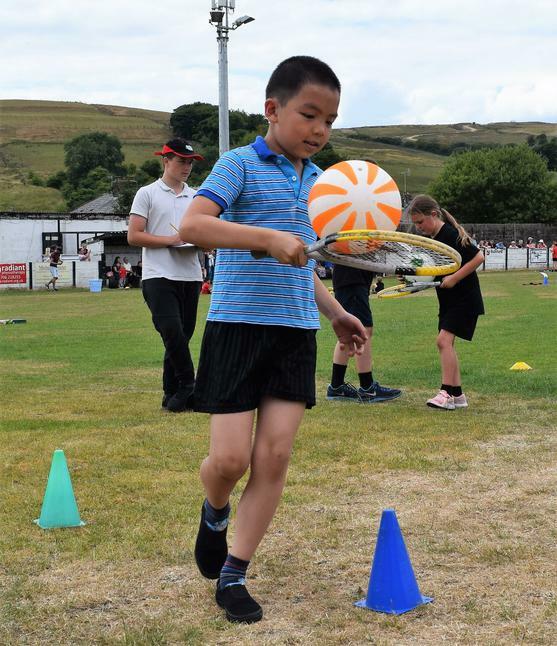 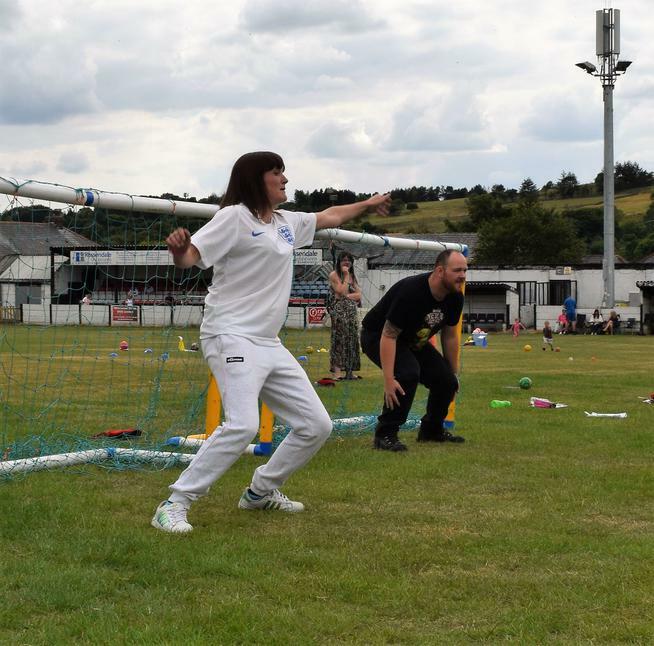 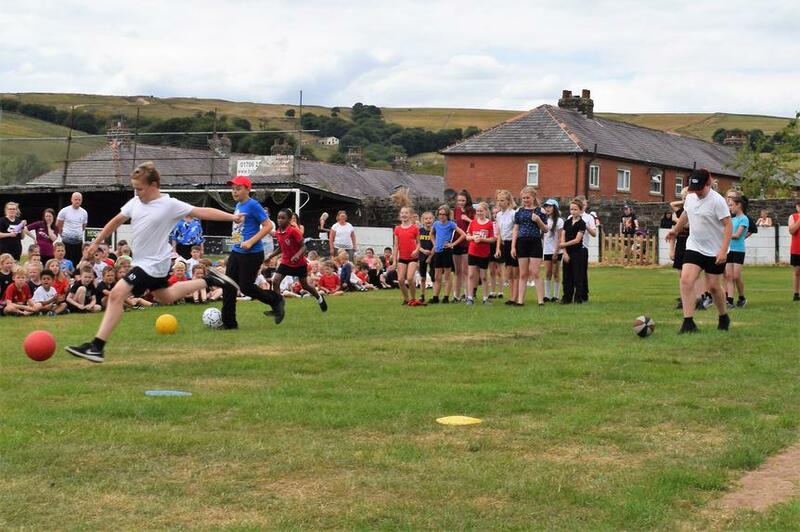 Thanks to the wonderful weather, this year's Sports Day could once again take place at Bacup Borough Football Club. 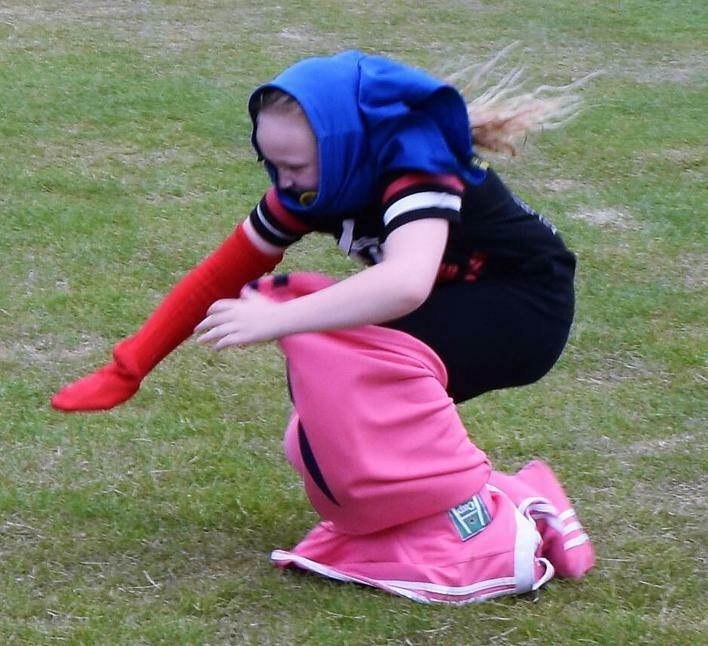 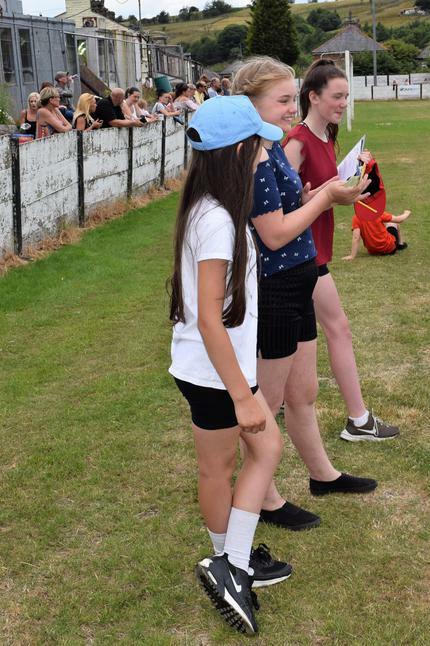 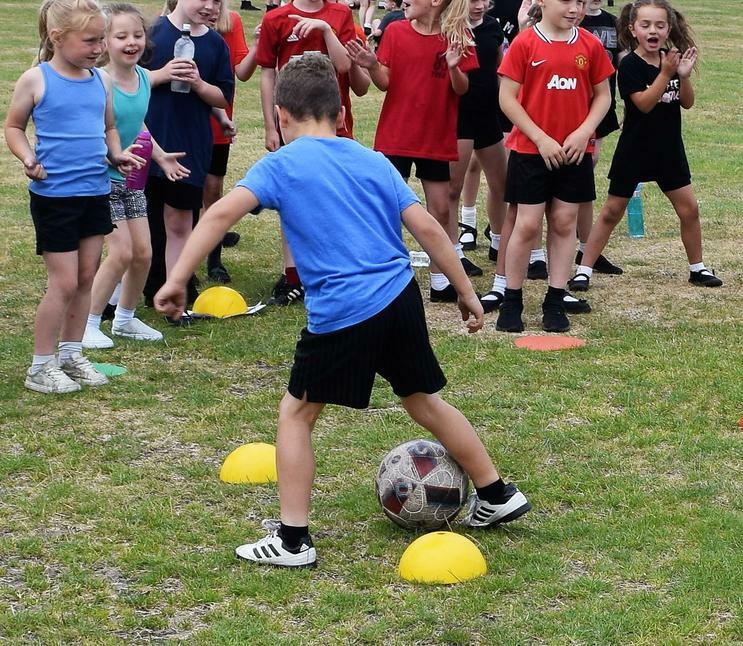 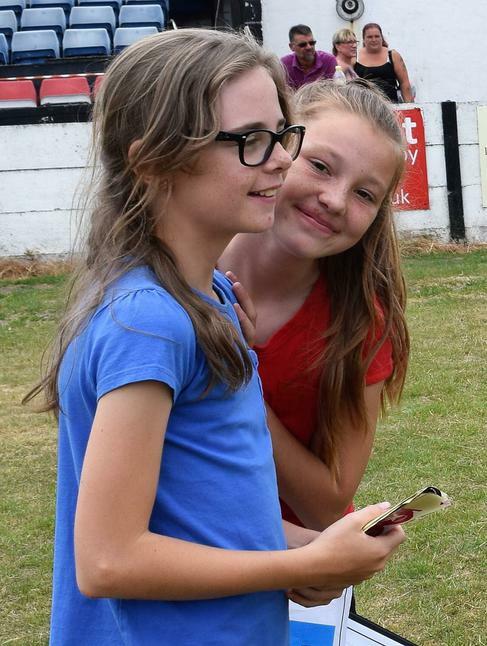 The Sports Leaders did a fantastic job of organising and leading the football themed activities at each station and as you can see from the photos, we all thoroughly enjoyed ourselves. 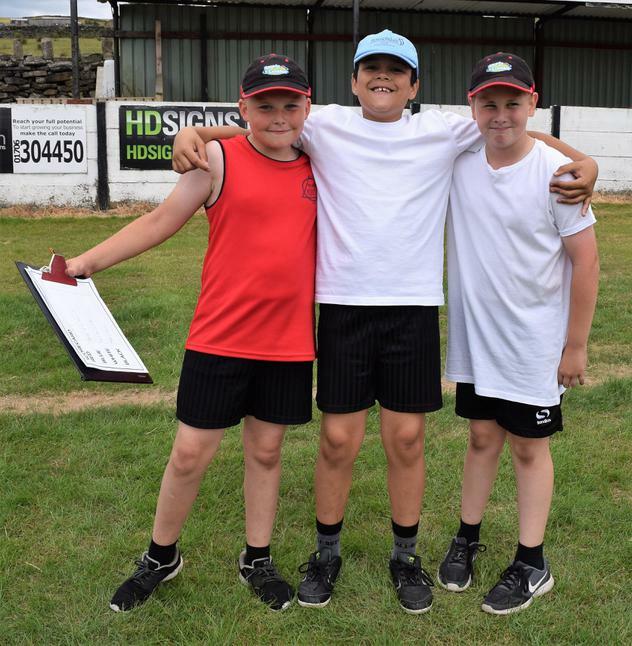 The overall winning team was the WHITE TEAM with a total of 224 points! 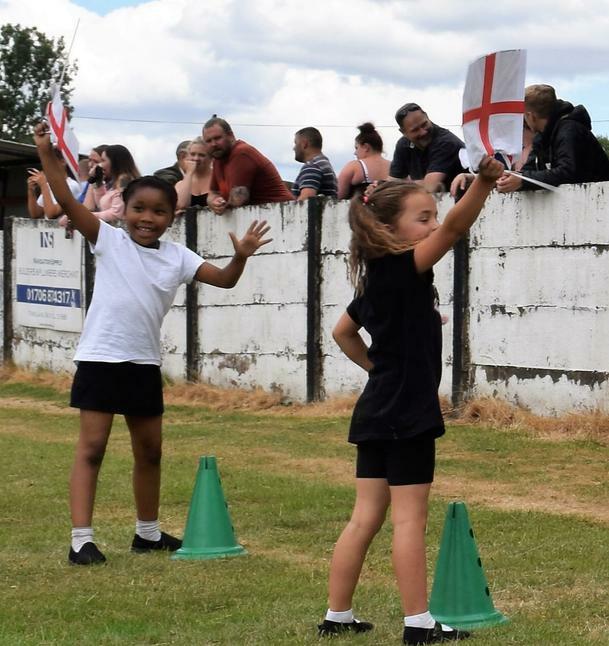 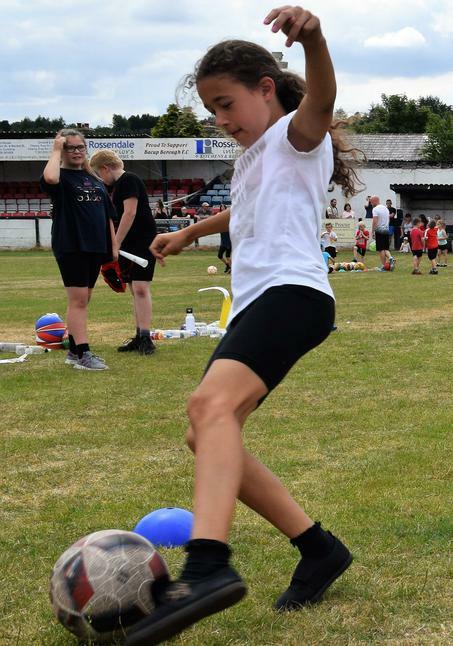 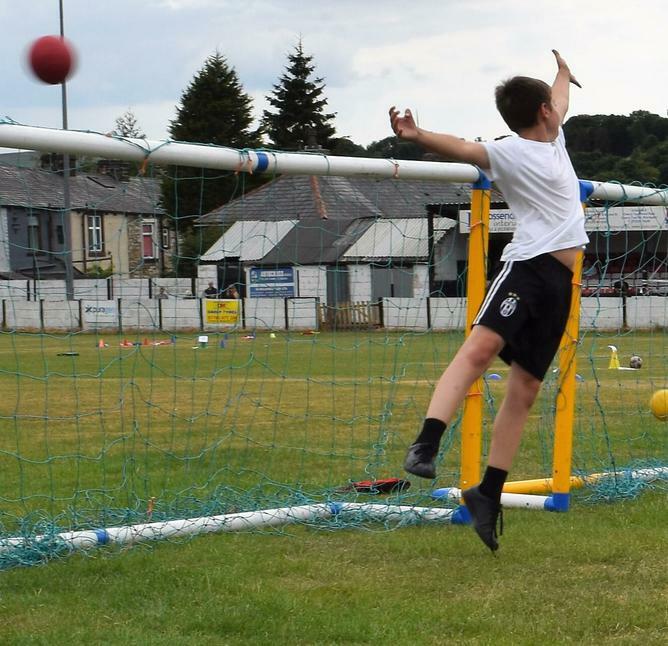 Thank you to all the parents, family and friends for your support and to those of you who were brave enough to take part in the Penalty Shoot Out, especially Chloe's dad and Brooklyn's mum for showing us their goalkeeping skills! 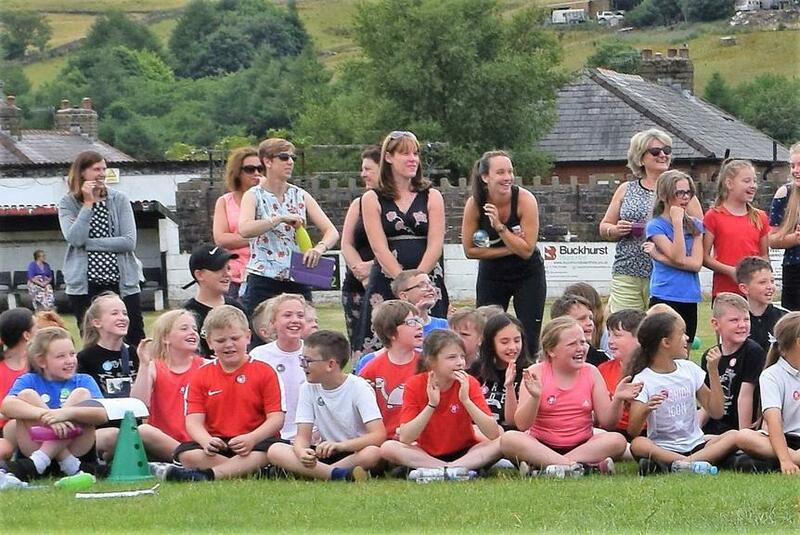 Special thanks from all of us at Thorn, to Brent and Deborah for hosting our event.